Jeffrey S. Beasley is a professor in the Information and Communications Technology program at New Mexico State University, where he teaches computer networking and many related topics. 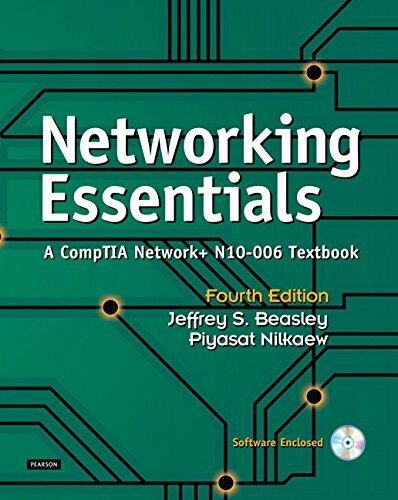 He is the author of Networking, Second Edition, as well as coauthor of Modern Electronic Communication, Ninth Edition, Networking Essentials 3e, and A Practical Guide to Advance Networking. Piyasat Nilkaew is the director of Telecommunications and Networking at New Mexico State University, with more than 15 years of experience in network management and consulting. He has extensive expertise in deploying and integrating multiprotocol and multivendor data, voice, and video network solutions. He is coauthor of Networking Essentials 3e and A Practical Guide to Advance Networking.